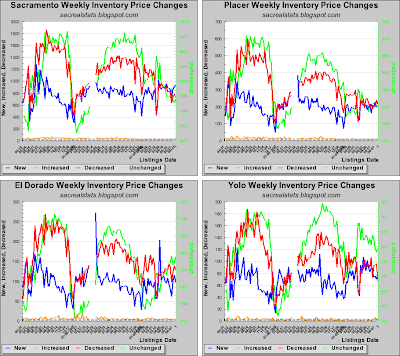 The near-term growth in inventory accelerated this week, with a 2% increase over last week. 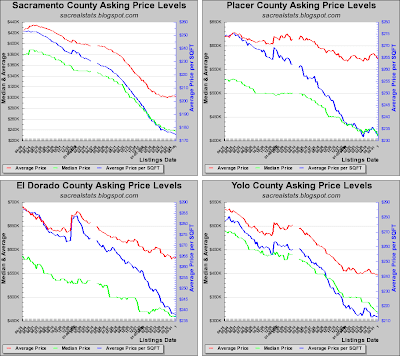 The growth took place almost completely at the lower priced end of the market, which drove the asking price averages down as well. Interestingly, there appears to be a trend reversal in the flipper inventory also, which could be indicative of bank inventory dumping. 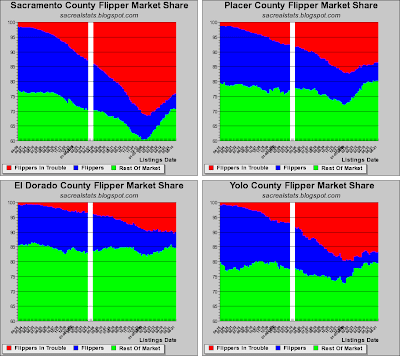 Like I discussed last week, it is looking more like the market has reached an inflection point. Next week I expect the usual monthly inventory drop, so any new trend should at least be understandable by July 12th or 19th. 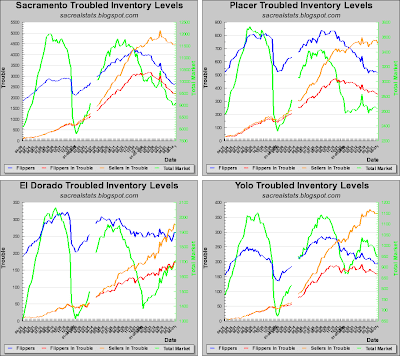 Truxel Properties LLC, which owns the Truxel Business Center at 4090 Truxel Road in North Natomas and two residential development sites in the region, has filed for bankruptcy liquidation, listing $17 million in assets and $19.4 million in liabilities. The center is about 40 percent leased, said Walter Dahl, the bankruptcy attorney who filed the Chapter 7 case, speaking on behalf of Truxel Properties and its managing partner, Volodymyr Dubinsky. The company owes Bank of America $5.3 million on the property, according to the bankruptcy filings. Truxel Properties pegs the center's worth at about $6.5 million. There is a huge glut of this kind of office space in Sacramento, so I'm not sure where they're getting their $6.5 million valuation. It's going to be doubly hard to get cash flow out of this property until a new, financially stable owner appears. 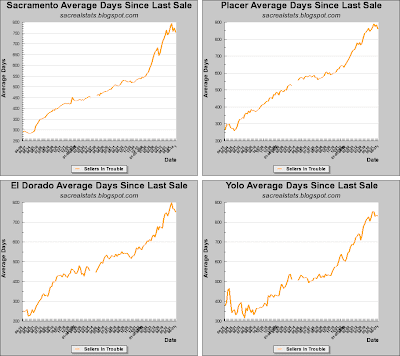 Until then, the street racers will have a field day. 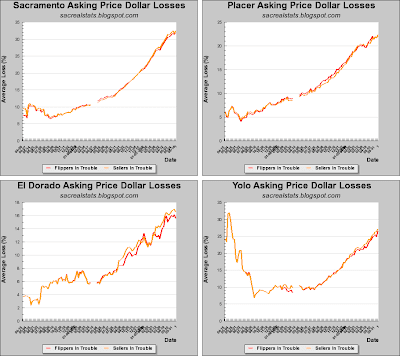 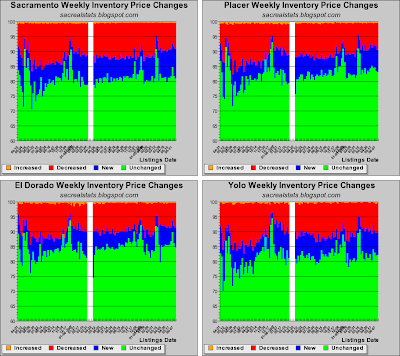 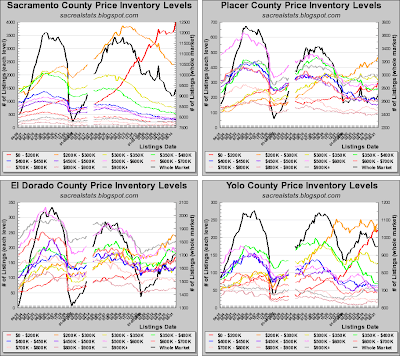 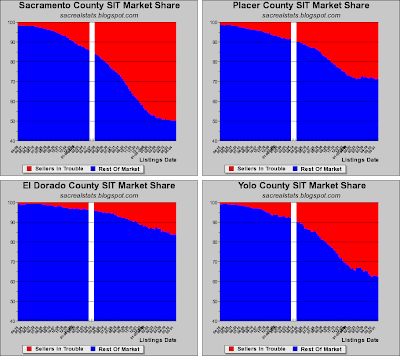 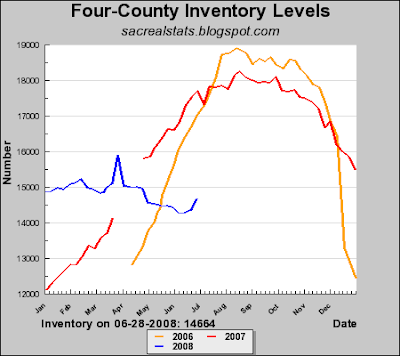 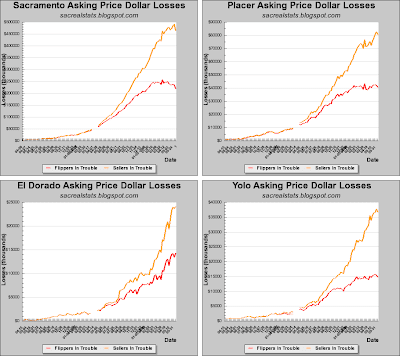 It looks like inflection points have been reached in most of the market stress indicators for Sacramento County. 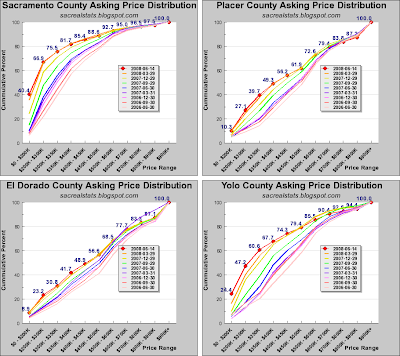 Logic would seem to indicate that asking price is the leading indicator of market direction at this point (with the REO process stretching out for months or years), but we will know more in a few weeks.